In the mid 40s, Record Hops became popular in North America. These were usually informal dance events for teenagers, held by the American Junior Red Cross to raise funds for the War effort. The school gym or cafeteria at high schools and other educational institutions was the preferred venue. 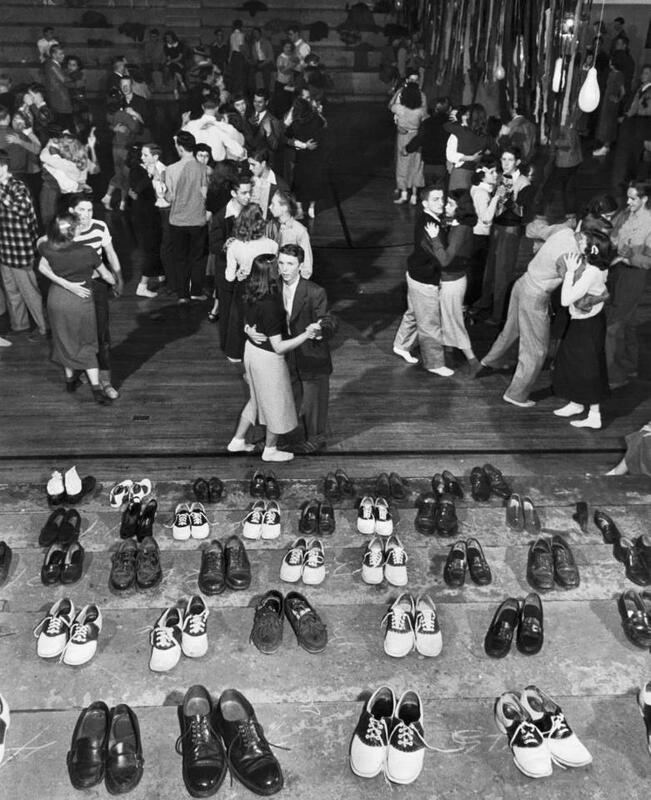 However, to protect the varnished floor surfaces, the dancers were required to remove their hard-soled shoes, and bop in their stocking feet. The absence of young men at War meant a dearth of live entertainers and the young dancers usually jived to vinyl records presented by a disc jockey. Unlike today, teenagers were neglected socially and expected to be seen but not heard. All that began to change at the beginning of the 20th century when psychologists identified adolescence as a concrete life stage. Teenagers began to be treated as a group psychologically distinct from children and adults. During the war years, it was important to keep ‘spirits up,’ and the mind of teenagers occupied. 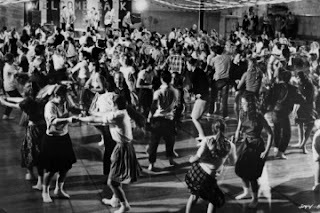 The focus on supervised school dances with the swirl of skirts, crinkle of lettermen's jackets and the soft scuffle of socked feet across a wooden gym floor to the sound of their favourite pop stars was very effective. 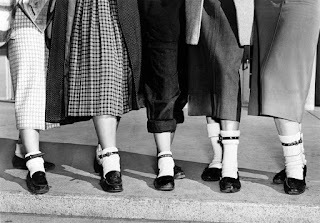 Teenage girls wore white socks which were either ankle length or collected at the ankle. These were called bobby sox and soon the term was used to describe teenage girls who went to the sox (sock) hop. The fashion started with young Frank ‘The Voice’ Sinatra fans, who publically swooned at the prospect of his live performances. Swooning was a public display of infatuation and involved girls groaning and dramatically flailing their arms before placing their hands on their foreheads or cheeks and ultimately falling to the ground, overwhelmed. 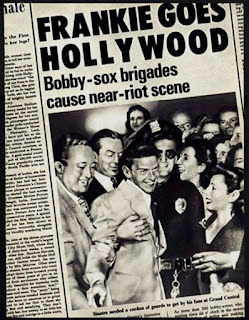 The Sinatra fans were collectively called "bobby-soxers" in reference to the white, folded-over ankle socks they wore. The term soon was adopted to describe all female adolescents. By the 50s and introduction of television, teenagers could now see their favourite musicians performing live and the wild new incarnation of fandom was forged. Sock hops became associated with Rock ‘n Roll where live groups replaced vinyl records. 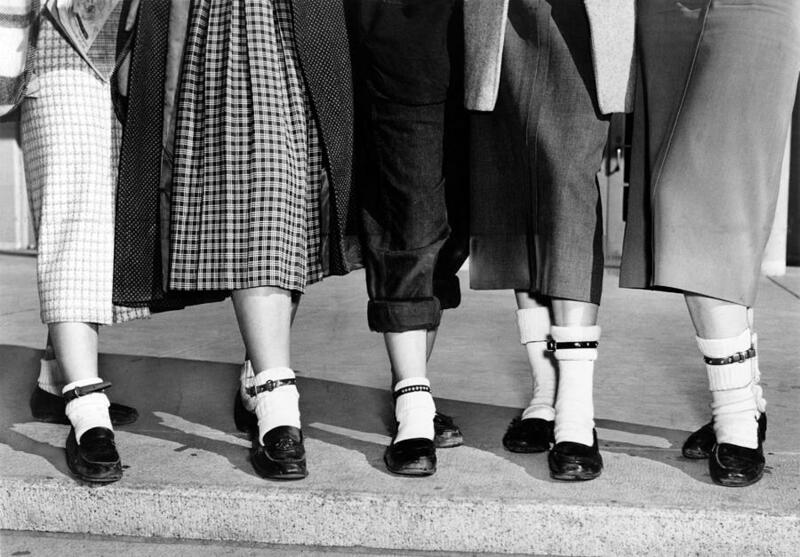 The new, bobby-soxers wore ankle socks with saddle shoes, penny loafers or ballet-style slippers. A Shetland sweater with cuffed blue jeans or a poodle skirt, along with a trendy identification bracelet bearing a girl's name or initials, completed the outfit. Boy’s footwear of choice were chucks. Sock hops evolved into ‘Discos,’ by the early 60s, as older teenagers with disposible income, flocked to more intimate night club settings. 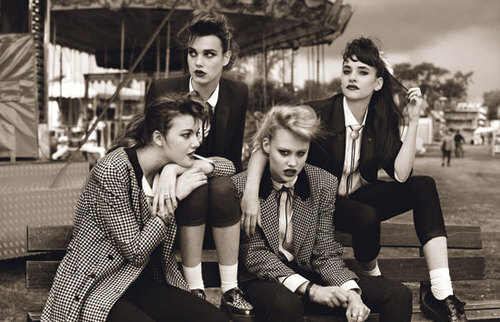 There was a brief revival of sock hops in the UK during the 80s, when rockabilly became vogue.